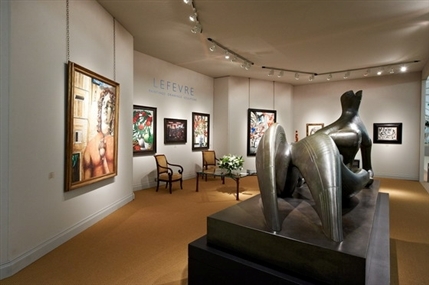 Dedicated to finding the best in art and design, Masterpiece London, held on the South Grounds of the Royal Hospital Chelsea, is a high-end exhibition for serious art collectors. This year, in its eighteenth successive year, Masterpiece London returns with museum-quality works from over 150 leading galleries worldwide and a strong roster of exhibitors including Katie Jones, a London based specialist in Japanese Art. As well as presenting important historic paintings, exquisite jewels, European Old Master sculpture,works by well known artists like Henry Moore and museum quality pieces, there are free-to-attend talks giving visitors an opportunity to learn about important exhibits, their makers and influences. What are the best dining options near Masterpiece London 2019 London? Masterpiece London 2019 gyms, sporting activities, health & beauty and fitness. The best pubs near London Masterpiece London 2019. Masterpiece London 2019 clubs, bars, cabaret nights, casinos and interesting nightlife. Where to have your meeting, conference, exhibition, private dining or training course near Masterpiece London 2019. From cheap budget accommodation to luxury 5 star hotels see our deals for Royal Hospital Chelsea hotels, including Draycott Hotel London from 76% off.